Company: Heyday Films, Moving Picture Company, Warner Bros. Pictures, Warner Bros. 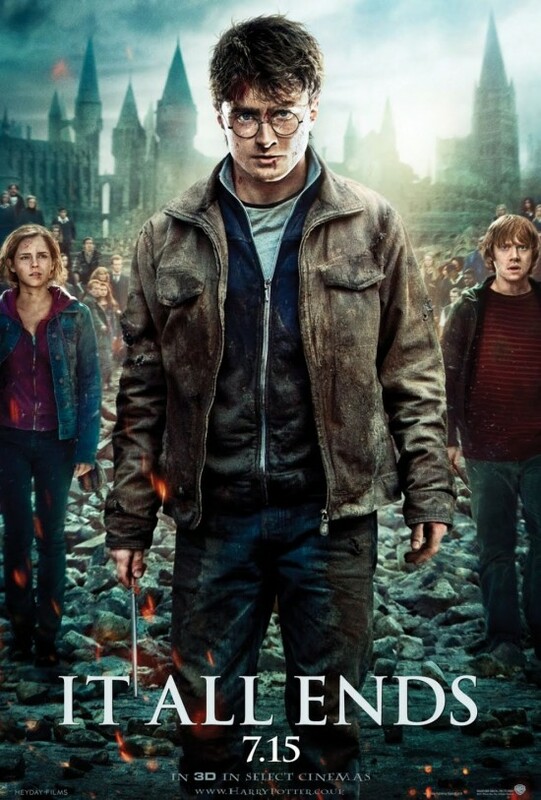 Picking up where they left off in part 1 of Harry Potter and the Deathly Hallows, Harry (Daniel Radcliffe), Ron (Rupert Grint), and Hermione (Emma Watson) fight to keep their heads high and attitudes positive when everything around them is turning dark. They still have several of Lord Voldemort's (Ralph Fiennes) horcruxes to find and destroy. The order has crumbled and it's members-those who still remain alive that is-are scattered. The Dark Lord's army is growing by the day. Still, there is nothing to do but push on. 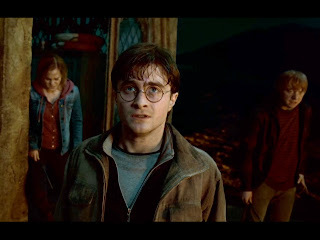 As the trio go about the dangerous and deadly journey of hunting and destroying horcruxes, they take one step after another that eventually leads them to the battle that ends all battles, and above all, the truth. But when Harry realizes the terrible fate that awaits him in the end, will he be brave enough and strong enough to accomplish it? Amidst the whole world turning against them, they still have time to show love; love to strangers, love to each other, and love to themselves. As Dumbledore states at the end of the movie, "Pity those who don't have love." 'The end of a era' is what people have been calling this long anticipated last installment of the Harry Potter series. A lot of people have been saying that this movie is the best of the whole series. To address this comment, I guess I would have to agree and disagree; my thoughts: yes, it IS a very good movie, but it's also a finale. Finales are usually put-everything-you've-got-left-into-them good. That being said, I personally think that in the complete series, there have been better movies overall. That's just my opinion anyway-You guys can be the judge when you see it! As for the movie in general, I thought it was pretty darn epic. It was unlike the earlier HPs due to the dark nature of the storyline, and the whole kill-or-be-killed plot, which I did like. I also liked the way they incorporated things, like life lessons (pity the living, you're nothing without love) and actual romance (I've been waiting for that kiss between Ron and Hermione since I read the darn book way back in the day!!!) amidst all the darkness. I must say though, for as epic as the movie was, it draaaaaaaaaaaaaaaaaaged. I understand you want to incorporate a lot into this movie and whatnot, but do it a little faster, huh? I don't need to see 10 minutes of the trio epically walking somewhere in slow motion. All in all, if you're a Harry Potter fan (books, movies, or both), DEFINITELY see this! 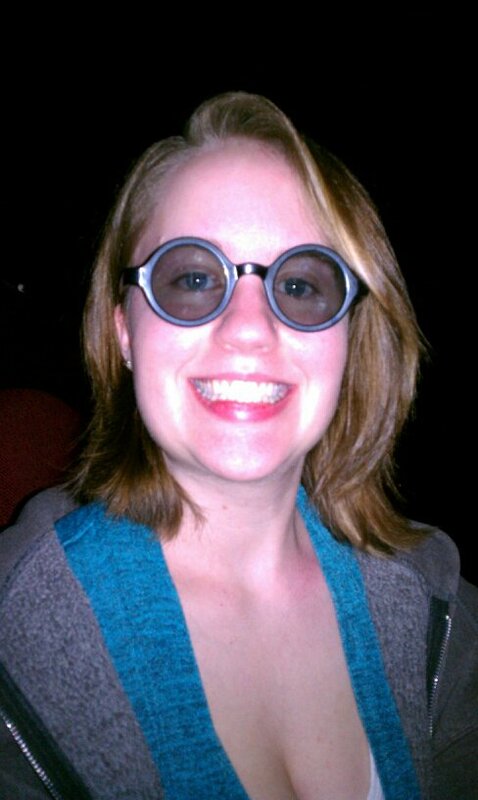 I thought I would add this little picture for viewer enjoyment-We did NOT see the 3D version, but my friend's sister had the night prior and we had fun trying on the Harry Potter 3D glasses. HEHE! Im going to tell you later my opinion of this film. I plan to watch all the movies this week and read all the books sometime between now and when I leave for school. Nothing like adding to the list of things to do! I'm excited to see this final movie but I'm going to wait until it comes out on DVD. 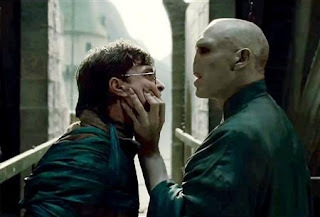 I thought all of the previous Harry Potter movies dragged on, but all were quite good. So jealous! Wish I went to see it, but alas in not appropriate for my kids and the chance of a free baby sitter is pretty slim, so I'll have to wait for the DVD to come out.